Because they include sleeping, toilet and cooking facilities, mobile homes are considered qualified residences by the IRS. As such, loans used to purchase this type of home may provide the owner with tax deductions, but only if the loan is secured by the mobile home itself. The IRS allows deductions only for "qualified residences". A qualified residence is one which includes sleeping, toilet and cooking facilities. It includes first and second homes. Mobile homes are a qualified residence. IRS Tax Topic 936 discusses the definition of a qualified residence. One of the biggest tax deductions the IRS provides to taxpayers is the "qualified residential interest" deduction. This allows taxpayers to deduct the amount of interest they paid over the previous year for any mortgage payments made for their first or second home. This deduction is available for mortgage loans, home improvement loans, home equity loans and lines of credit. The amount of a taxpayer's deduction is provided by the lender in Form 1098, which is mailed to the taxpayer each spring. Deductions are claimed on Schedule A of tax Form 1040. The catch to the deduction is that it is only available when the loan is secured by the residence. Therefore, any loan which does not entitle the lender to repossess the home upon default does not entitle a taxpayer to the interest deduction. Tax Topic 505 discusses the distinction between mortgage and personal interest payments. It explains that a taxpayer may deduct interest paid on any loan in which a home is used as security, but not in a personal loan. Mobile homes are qualified residences which, if used to secure a loan, entitle the taxpayer to the deduction. This entitlement exists regardless of whether the taxpayer owns the land upon which the home rests. If, however, the taxpayer did not use their mobile home to secure the loan, they are not entitled to the deduction. 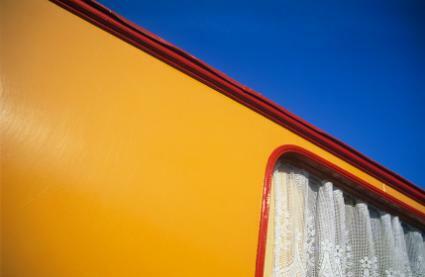 Loans used to purchase or renovate a mobile home that are not secured by the home itself are considered personal loans. Interest payments made to these loans are considered personal interest. This type of interest is not deductible, regardless of the intended use of the acquired funds. Points assumed when refinancing the purchase of a mobile home are deductible over the life of the loan. However, here again, the mobile home must secure the loan. Although taxpayers who purchased or invested in their homes without using the mobile home as security cannot deduct interest payments, they may still deduct other expenses associated with their residence. The main deduction includes payments of any real estate taxes. Taxpayers, however, may also be able to deduct the total amount of any loan used to make home improvements to their mobile home. To claim this deduction, the taxpayer must have used a portion of the loan to make either energy-efficient or medical home improvements to the residence. The IRS allows the owner to deduct a reasonable amount for these improvements, which is usually considered to be the amount that another taxpayer in the area would pay for the improvements. Considering that home improvements can be quite expensive, this deduction may actually be larger than any interest payments made to the loan itself. If you purchased a mobile home with a mortgage, you may deduct the amount of any interest payments you make on that loan. If you did not secure a loan with the property, however, you cannot deduct that interest. Instead, take advantage of other available deductions, including ones for real estate taxes and home improvements.